Everyone needs a friend to lean on — including monsters! Whether happy or sad, quiet or loud, little monsters need friends. And it’s especially nice to have a best friend to share all of the little details of life with. 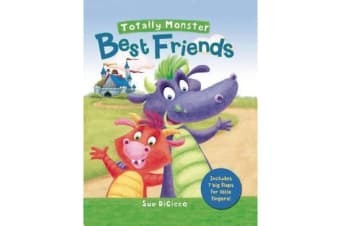 Big and small monsters alike will be thrilled from head to toe with “Totally Monster: Best Friends”!